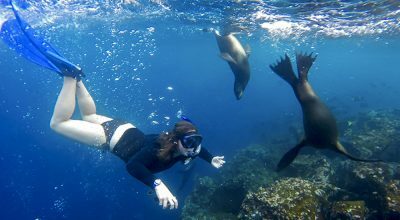 The highest Latin American republic boasts soaring Andean peaks, expansive Lake Titicaca, the mesmerizing white salt flats of Uyuni and sweeping savannahs and swathes of pristine rainforest in Madidi National Park and Noel Kemp National Park. These extreme geographical variations can all be appreciated as part of a tailormade luxury travel Bolivia journey. Bolivia is large, landlocked, sparsely populated and absolutely packed with extraordinary scenery. Bolivia is a destination for adventure travellers prepared to forgoe traditional luxury for the benefit of exploring surreal landscapes away from tourist crowds. 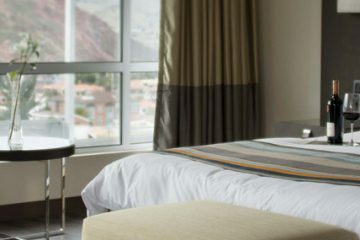 Bolivia boasts five-star luxury hotels in the capital, La Paz. 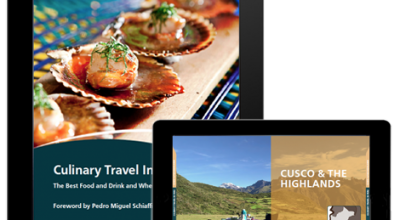 Elsewhere, luxury travel Bolivia focuses more on the experience than refined luxury comforts. Infrastructure is relatively basic, as to be expected for a developing country. But arrive with a sense of adventure and you’ll find this is compensated by the spectacular setting. Well worth a visit as a stand-alone destination, bespoke Bolivia travel can also be combined with luxury travel Peru or San pedro de Atacama in Chile. 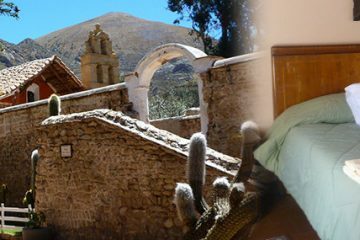 Check out some of our trip suggestions and things to do below for inspiration for luxury travel Bolivia. Home to around 9,947,418 people, Bolivia is the 83rd largest country in the world by population and the 28th largest country by area at 1,098,581 square kilometres (424,160 sq mi). Bolivia is bordered by Peru, Brazil, Chile, Paraguay and Argentina. In spite of a relatively small population, Bolivia is culturally diverse with three official languages: Spanish, Quechua and Aymara. With over 50% of the population indigenous, Bolivia has the least changing population on the continent. 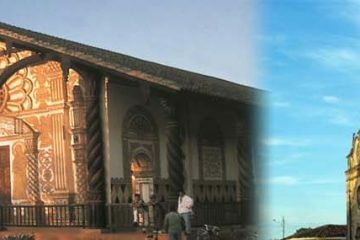 As such, it offers an excellent opportunity to view the remnants of ancient civilization embodied in life today as well as in the old Colonial cities, traditional villages and occasional ruins scattered across the landscape. 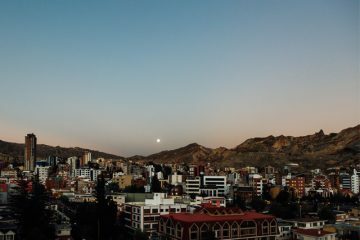 La Paz, the highest capital city in the world, is set in a most impressive landscape – straddling the Altiplano at 3,900 metres (12,795 feet) and a deep valley 500 metres (1,640 feet) below. It is a true melting pot, the ideal place to witness the native Aymara and Quechua people going about their business wearing the traditional dress of multi-coloured skirts and bowler hats. Bespoke travel Bolivia will enable you to take the best of Bolivia’s highlights. A land of extremes, the country is an adventurers dream – but you needn’t be a hardened adventurer to enjoy luxury travel Bolivia. 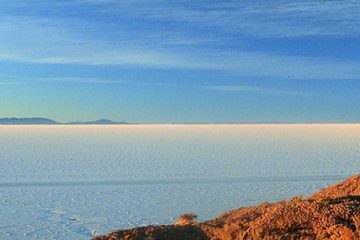 An absolute must-do for bespoke travel Bolivia is to marvel at the Daliesque scenery as you drive in a 4×4 across the largest salt flats in the world at Salar de Uyuni, and explore the coloured lagoons which fringe the Atacama desert. Read more about exploring Bolivia by Adrew Marantz, a journalist who travelled with Aracari for Conde Nast Traveler, and Paul Richardson, who explored Lesser known Bolivia and wrote for How to Spend It, the weekend FT magazine. 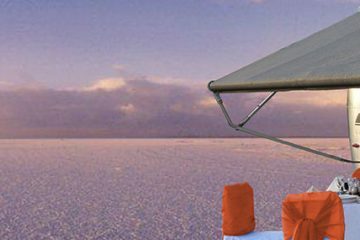 As part of our salar de Uyuni luxury trips, Aracari can arrange a night in a hotel made entirely of salt, or to stay in your own private airstream camper, with dedicated cook. Lake Titicaca is Bolivia’s other best-known attraction, 72 kilometres (45 miles) from La Paz. 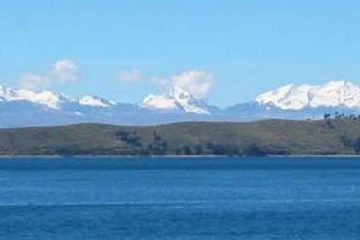 Stretching for 8,300 square kilometres (3,204 square miles) and standing 3,812 metres (12,506 feet) above sea level, the Lake has been home for the Quechua and Aymara peoples for centuries, and the area is exceptionally rich in folk tradition. Aracari arranges guided visits from La Paz, or in combination with a tailormade trip to Peru. 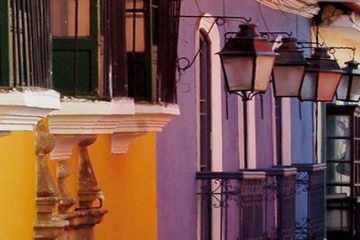 Elsewhere, soak up the charm and history of Sucre and Potosi, two of the most historically significant cities in the country, as well as the Chiquitos Jesuit Missions which are home to impressive churches that have been well-preserved for over 300 years. Over 11% of national territory is protected park land and it covers an enormous variety of geology and ecosystems. 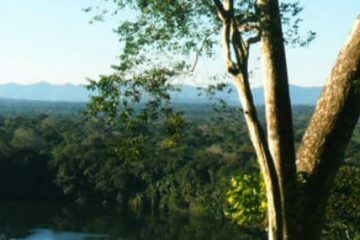 The Madidi National Park is sometimes overlooked by those planning to travel to a rainforest. In northwestern Bolivia, bordering Peru, the moist jungle in this 1.5 million hectare park is home to alligators, piranhas, anacondas, freshwater dolphins, monkeys and many hundreds of species of birds. 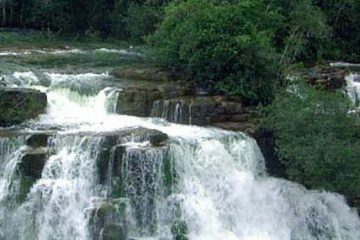 While, in northeastern Bolivia, the Noel Kempff Mercado National Park, at 1.6 million hectares, the size of Massachusetts, is said to have been the inspiration for Arthur Conan Doyle’s The Lost World. It has one of the highest densities of wildlife in the world with over 640 bird and 130 mammal species recorded. The weather in Bolivia varies significantly from region to region at any given time of year thanks to its diverse landscapes and geography. Bolivia is a year-round destination, with a dry and rainy season in its most popular destinations – including Uyuni, Lake Titicaca, La Paz, Sucre and Potosi. Generally speaking, the dry season is considered the best time to travel weather wise, permitting a wider range of activities. Choosing when to travel has greatest impact for visiting the salt flats of Uyuni. Rainy season is from December – March, when the Salar de Uyuni takes on a mirror-like reflective quality. Though accessibility is more limited and routes change, with enough rain the salt flats take on a reflective quality that is simply other-worldly and this is a key draw for choosing to travel in rainy season, rather than avoid it. The dry season is from April – November, when the Salar forms vast expanses of pentagons of crystalline salt. There are no “seasons”; rather the wider temperature fluctuations occur between daytime and night time. Rainy seasons sees slightly higher temperatures than the dry season. Why travel to Bolivia with Aracari? 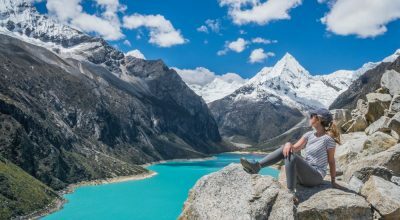 As local experts in planning luxury travel Bolivia, we’re based in the region to manage any changes to your trip, should any unforeseen circumstances crop up. 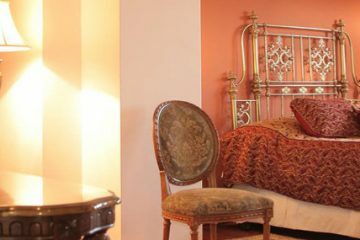 We also personally inspect every property we recommend, to offer you the best of the region with our up-to-date intel. 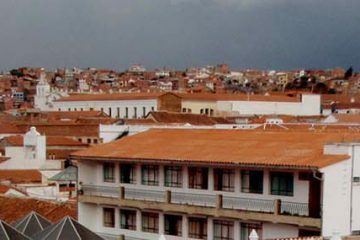 Furthermore, we offer an unparalleled network of connections enabling us to truly tailor bespoke travel Bolivia. And we work with specialists in their field to ensure you can enjoy authentic, insider experiences throughout your journey. Bolivia’s hotels are as unique as the country’s attractions. What it lacks in ‘conventional’ five-star luxury, it more than makes up for in the experience. 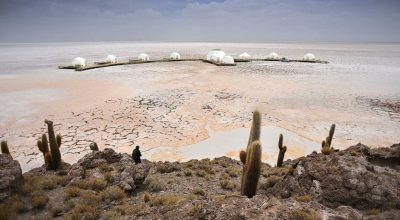 At the Salar de Uyuni, sleep in a hotel made entirely from salt or in a deluxe airstream camper. 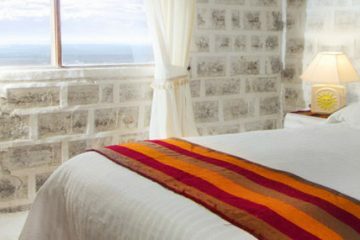 These are some of our favorite places to stay in Boliva.